Glass Block Factory proudly distributes windows and doors for the US market that are of the highest quality, exceeding the most current and strictest thermal and structural requirements. By installing Energy Star® rated products in your home, you qualify for the Federal Tax Credit, and you also get one of the best warranties in the industry. This level of quality and durability is available for a price that you can afford. When it comes to windows and doors, vinyl is an all-around excellent choice. Unlike wood, vinyl windows and doors will never rot or require endless repainting. And unlike aluminum, vinyl windows and doors will never pit or flake. Our vinyl windows and doors are made from the highest quality vinyl and require almost no maintenance. In fact, an occasional washing will keep them looking like new for years. Plus, they offer increased comfort and lower utility bills, provide headache-free operation and add value to your home. You can’t get much better than that. 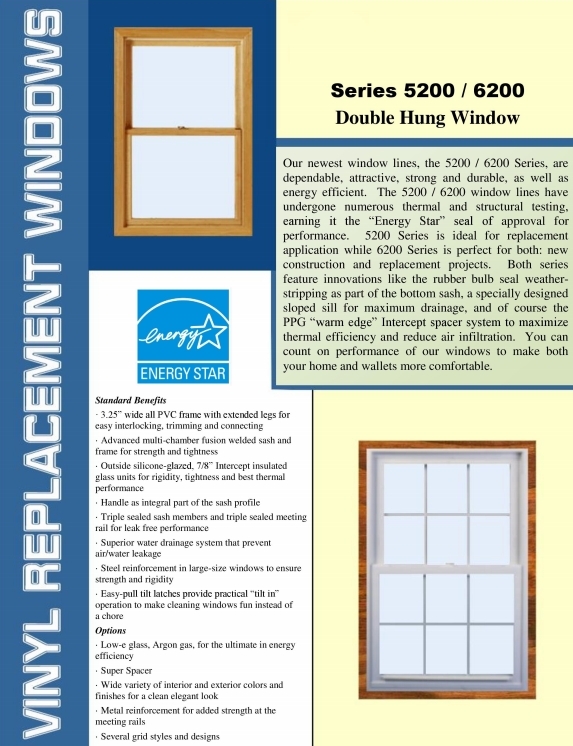 Vinyl windows and doors offer excellent thermal performance for year-round comfort and to help lower utility bills. Our windows and doors open and close easily for maximum performance with minimum effort. The premium vinyl used in our windows and doors can stand up to extreme weather conditions year after year. Vinyl is an effective insulator. Our vinyl profiles are specially designed to work with advanced glass packages for optimum energy efficiency. The color of the vinyl is integrated throughout, so frames and sash will never require painting, and they resist pollution, salt spray and dirt. Not only do our windows and doors help to lower home utility bills, they also add value to your home.